Quinoa Salad with honey toasted (lightly roasted) pine nuts and leeks – A simple yet healthy quinoa salad recipe that is perfect for meal prep, holiday side dish, or a wholesome vegetarian meal! This salad makes is naturally gluten free, rich in plant based protein, and vegan friendly. A Spring Vegetable dish that’s ready to eat in 30 minutes. 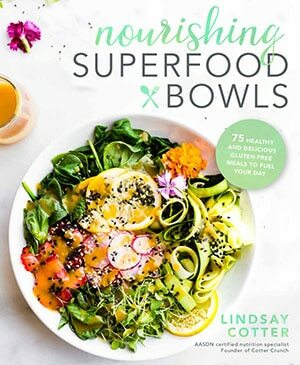 Just letting you know this Spring quinoa salad recipe was originally published in 2015. I retested, rephotographed, updated content and URL. Now I am republishing it for you today! I hope you enjoy. Thank you for following Cotter Crunch Y’all!. I recently read a great article about successful people who live to create. Create stories (writers), food (chefs), recipes, products, whatever. They said their main focus was to create great content. No matter how PRETTY or how ENTICING this content looked, it was all about the value and purpose of that content. That was KEY to making it last and making it noticeable. I’d like to think that’s my process when it comes to recipe development and recipe sharing. Okay yes, I realize I’m getting all sentimental about a quinoa salad here, but still…. this is me. I value the “why” behind the recipe, and I hope you do too. Otherwise it’s just another quinoa salad and Lord knows we have plenty of those on pinterest already. Am I right? The best Quinoa Salad Recipe – I may be bias. The main reason I CREATE is to express my love for REAL FOOD. The nourishment, the simplicity, the flavor combination, the appreciation of a good gluten free go -to recipe that everyone can enjoy. I know I know, corny as it may seem, it’s the truth. There is nothing I like more than to make a good meal or dish and share it with others. So my friends, today, I have what I call, a LOVE dish. 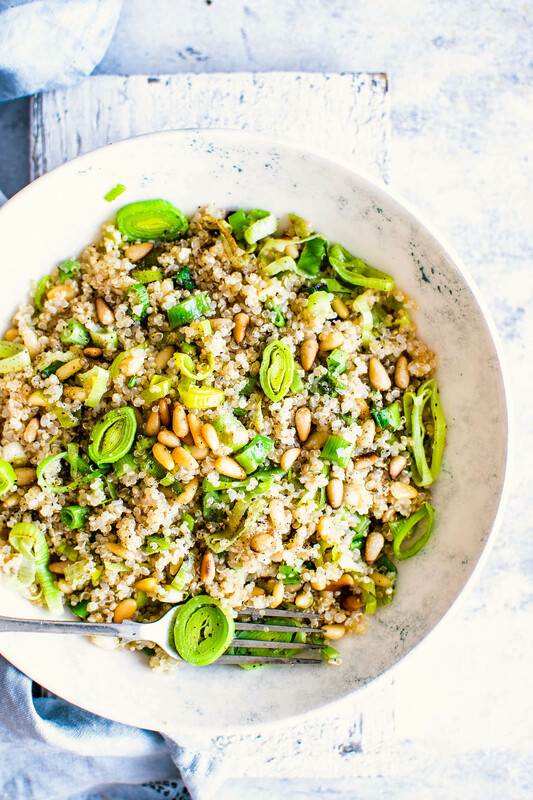 Toasted pine nuts and leek quinoa salad recipe (say that 3 times fast)! A love dish is CREATED with love. 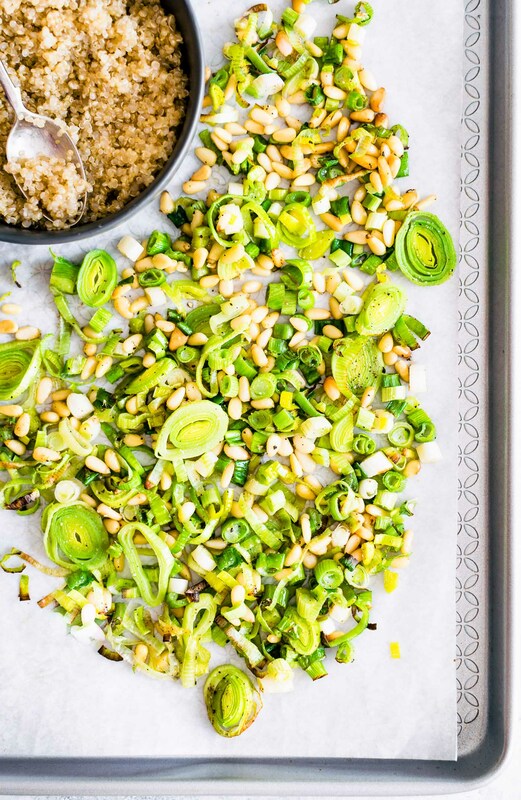 Honey toasted (lightly roasted) pine nuts and leeks to be exact. And mixed in a zesty lemon quinoa salad . Ingredients to make a Healthy Spring Quinoa Salad! Suitable to serve for ANY OCCASION! Leeks – excellent source of vitamin K and can help fight disease! Total superfood ya’ll. Honey or maple syrup (for those who are vegan) – Unrefined sugar for the win! Pine Nuts – Rich in healthy fats, phytochemicals, vitamins, antioxidants, and minerals. What do leeks taste like? Glad you asked! They are slightly garlicky but mellow out when cooked (the green top portion is great for stocks!). The bottom portion, the white part we used in this recipe, has more of an onion flavor. Just not as strong/potent. Another reason why I sliced them think and tossed in honey. The taste is so similar to caramelized onion! Side note –> You can use the bottom, white portion of a leek anywhere you’d use an onion. Do you see my key CONTENT of this recipe yet? –> FLAVOR COMBO and PLANT BASED POWER! 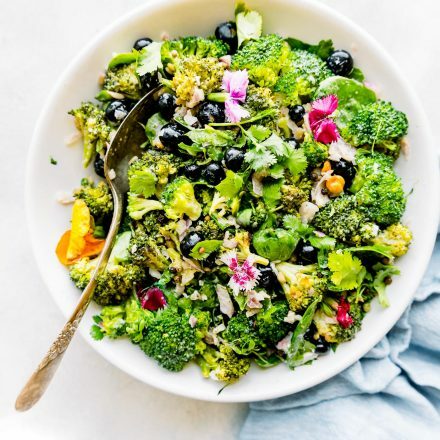 This gluten free Spring vegetable quinoa salad is IDEAL to serve around the table alongside a Sunday dinner together, Easter, etc.. Don’t you just love family style sides and salads? Maybe it’s just me, but taking time to make a dish (sweet or savory) that you can share with others is similar to that of a thank you card or Valentine’s day card. And to be honest, I’m not the best at keeping up with thank you cards or any type of writing for that matter. I am, on the other hand, much better at making (creating and sharing) food or sending chocolate cookie dough to show I care. Haha, go figure. Now, that being said, you can totally make this quinoa salad recipe JUST FOR YOU! It’s light and refreshingly sweet it is. It pairs well with so many main ingredients too; chicken, fish, beef, or even vegan friendly (pair with roasted chickpeas an omit the honey). There is EVERYTHING TO LOVE ABOUT THIS QUINOA SALAD! Now that I’ve talked your ear off about corny content. How about I get to the recipe? 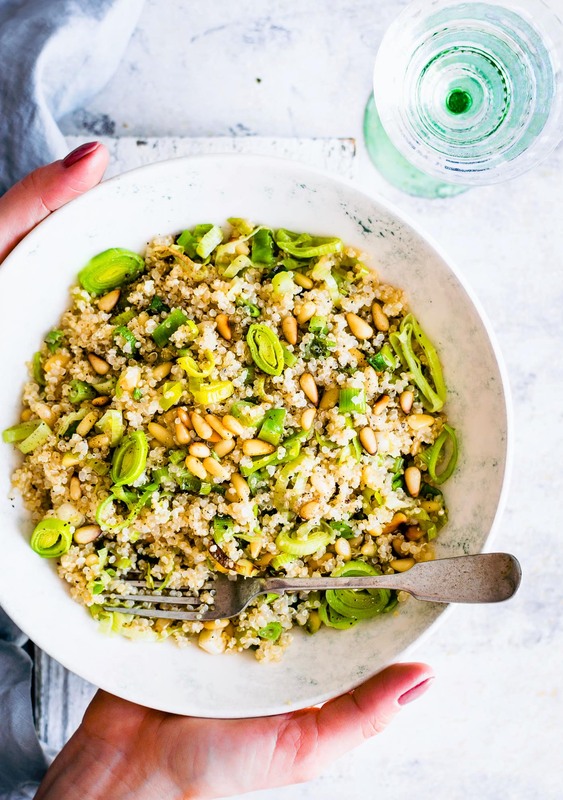 Toasted Pine Nut and Leek Quinoa Salad Recipe. Easy to make, gluten free, vegetarian, dairy free. First rinse your quinoa. Add 1 cup quinoa, 1/4 tsp salt, and you need about 2 cups liquid. Bring liquid to a boil with quinoa, then reduce heat to medium low and cover for 20 minutes or until fluffy. Set aside. Preheat oven to 400F. In a small bowl, combine your chopped leeks (the roots), onion, pine nuts, honey, salt, pepper, and 1- 2 tbsp olive oil. Toss and then lay it flat on a baking sheet with parchment paper. Spread evenly across paper. Roast/toast for 5 to 6 minutes. Remove, toss the pine nuts and then return to oven for another 4 -5 minutes or a total of 10 -12 minutes. Remove from oven and combine (in a large bowl) cooked quinoa with honey toasted mixture. Mix in your minced garlic, cracked pepper, 1/2 tbsp more olive oil, and 1- 2 tbsp of fresh lemon juice. Season with flaked sea salt or coarse sea salt and serve. Store in airtight container in fridge for up to 4 -5 days. For vegan option, omit honey. To boost protein or serve as a main meal, pair quinoa salad with chicken breast, fish, or plant based protein of choice. So tell me, if you could make anything for your family or loved ones, what would it be? Quinoa salad, family style, right? Not corny at all! I think food is one of the best ways to show love for others! Thanks for loving us!!! Mmmm…this is definitely NOT just another quinoa salad! I think I’d eat those pine nuts by the handful! Looks delicious! thank you friend. You are too good to me! Food is way better than a thank you card in my opinion 😀 Make me food and I am one happy girl. 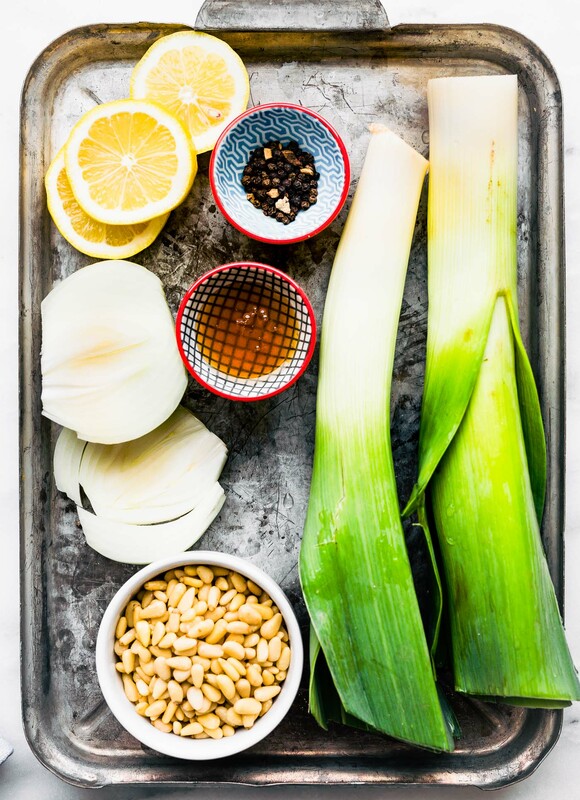 And you had me at “leek”… love this dish! Haha, we can feed each other. Happy dance! This is GORGEOUS! Also I love what yous said about creating for a purpose. I feel like a lot of food bloggers create for the sake of creating, but I like to read about the thought and the passion behind the recipe! thank you friend. I so agree! You know that viral “This is Bob (or insert your name here). Be like Bob” Face book thing? Well, mine was that I like to cook and create for my family. Which is true, but I think that they agave me a bit too much credit. But I truly do love to cook an dCREATE for others. Every now and then I create for myself, but I truly put on my creative pants for others. oh i need to see that post! and i agree. i get more creative for others. totally worth it! What an epic sweet and savory way to enjoy quinoa! Just gotta add a little protein and this is a complete meal! oh i agree! maybe some chicken?? or salmon! I love cooking for the fam! I like to make applesauce a for my nieces when we go back to Indiana. you can make some any day! Loved reading why you created this dish. It looks amazing – like everything else you create. It seems like the perfect thing for a cold winter night! And this is why I <3 YOU! 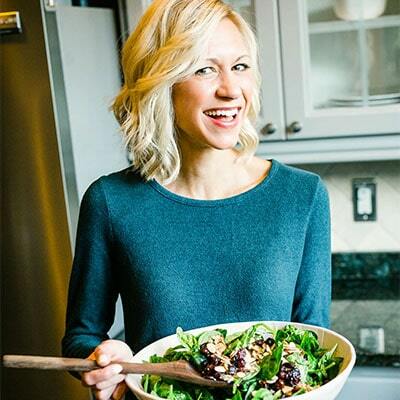 I love that you share healthy GF, adrenal health promoting recipes here, Lindsay! 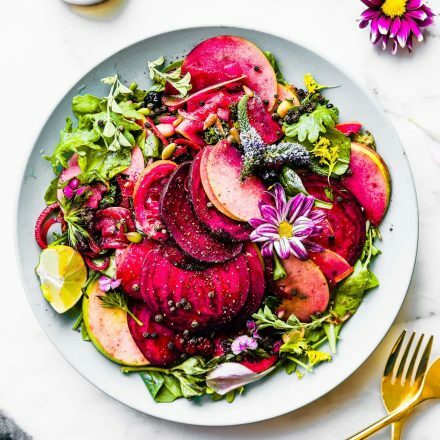 Coming from a family plagued with heart disease, diabetes, pressure and a slew of other issues, eating healthy has been my saving grace – so far and I don't think your purpose is corny at all – I LOVE it! And this salad with leeks! and i love you more! and i love that you love leeks! I am fascinated with the toasted honey crystals! Love the recipe. omg it’s so fun !!! love cooking with it! This is beautiful Lindsay! Simple and stunning flavors, I love it! It makes me feel all spring/summery! Oh trudt me, I’m right there with you on both creating content that matters/offers value – a few ranom fun posts aside though maybe making somebody smile is enough value at times? – and showing love through food. Because let’s be honest: thank you cards get forgotten or thrown away, food is enjoyed and at best creates lasting memories. This salad looks like a great way of saying thanks. Your posts are always full of good content. And your food. If I could make Vegas anything… I’d make her spaghetti and meatballs. It’s her favorite. Mmm this looks fabulous! There’s something to be said about creating a dish out of love for our friends and family 🙂 YUM. but you can make amazing protein cookies and bread!! You are so cute. Love your writing and your perspective! Oh and I also LOVE pine nuts. But I never buy them, because I’m too cheap. Bit the bullet last week and got a bunch at Whole Foods, Just because I felt like it! So NOW I know what I’m making with ’em! totally worth the splurge!! i love them. Oh wow, did not expect to see you toasting the leeks too! Such an interesting idea, I have GOT to try that! Looks spectacular. I really liked toasting it all together! the leeks smell amazing! OMGGGG!! Ok I love Nektar Naturals, who doesn’t love honey!! 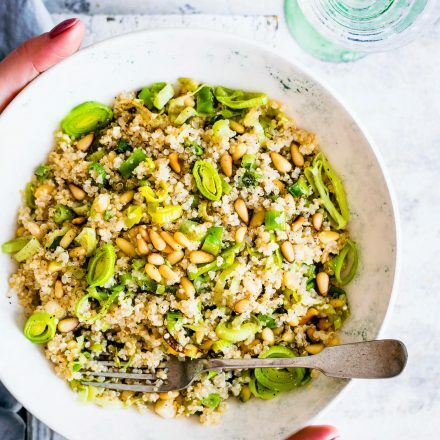 And it’s so awesome I can send a love note to a friend, so I’m going to need your address 🙂 This dish is seriously amazing though, the pine nuts and leek all roasted together – perfection. I’m a fan of anything made with love, regardless of dietary preference. 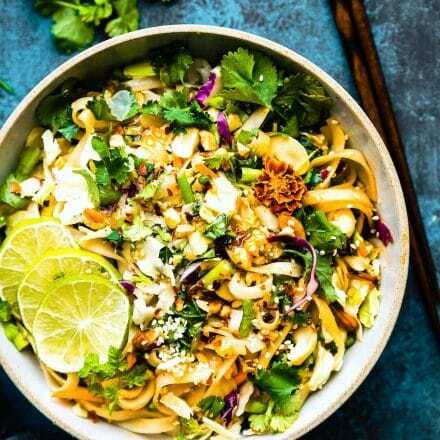 Toss in honey crystals, lemon, leeks and pine nuts and I’m absolutely sold. I do absolutely love meals like this, so full of goodness and it’s yumm. Yum! this looks fantastic, friend! and I adore how much you love through food…it’s so you! and your recipes are filled with love and nourishment!! Your quinoa salad looks fantastic! My daughter is pretty attached to q quinoa salad that I make…meaning she asks for it every week…but I like to branch out too. I’d definitely like to try yours! and I LOVE YOU! miss you! This looks fantastic and perfect for this week since i have some uncooked leeks in my produce drawer! o glad you tried it! Leeks are one of my all time favorite ingredients to cook with. I haven’t invited myself over in a while. The next time you make this would be a good time to visit. Bob’s Red Mill recently posted this recipe on Facebook and I have to say it looks/sounds delicious! Unfortunately, quinoa and I do not get along. Can you please recommend a tasty alternative? Thank you. What grains can you have? I think toasted buckwheat, millet, or brown rice would work! All sound good, think I’ll try buckwheat first. Thank you! 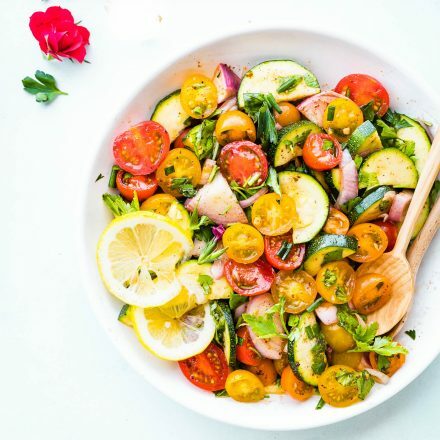 A gorgeous, warming salad! And yes, I’d soooo make this. Such a yummy salad! The lemon vinaigrette was perfect with the quinoa and leeks!! I love toasted pine nuts- they add such a different texture to salads! Such a great mix of ingredients! Made this last night and it was very yummy! I served it alongside Gardein Turk’y Cutlets and it was a great complement. I’m glad you liked it! Mmm, sounds like a winning dinner😋 thanks for sharing!